Good coffee satisfies the soul and the senses. 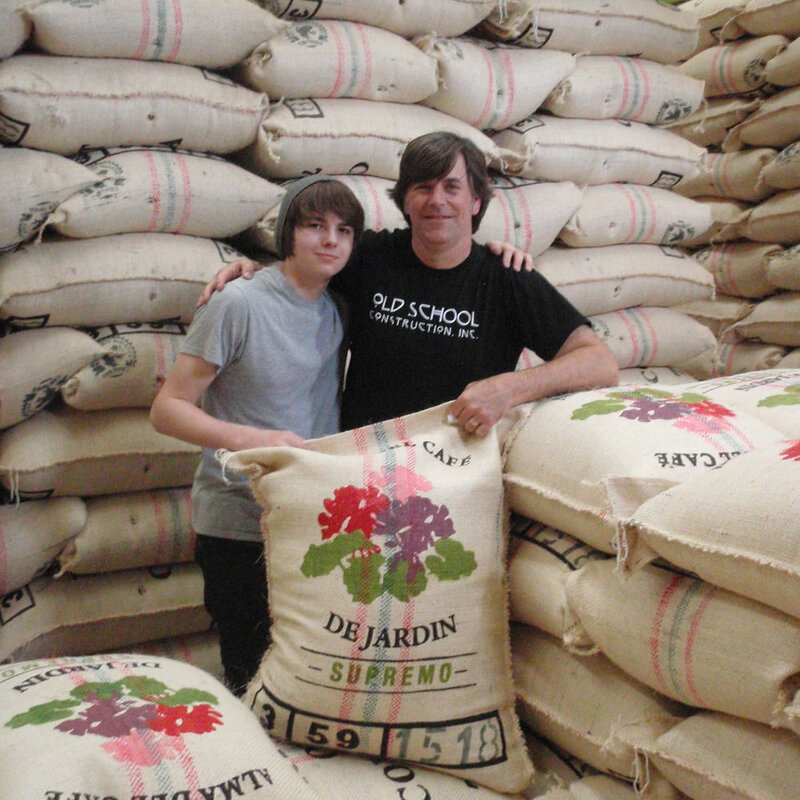 Founders David Myers and Jim Levinsohn, friends for over 24 years, founded Mighty Good Coffee in 2006, combining what they love most: family traditions; artisanal craft processes; building local community; and fantastic coffee. Starting with beans from select farms, mills, and co-ops (yes, we visit! ), we roast in small batches, and package quickly to preserve freshness. We pour our passion into every roast, every bag, every day. We think you’ll agree— it’s Mighty Good! We believe that being involved in our community is one of the best ways to build community. Over the years, we’ve been involved in a variety of projects, events and other local grass roots causes intent on keeping the local flavor or Ann Arbor strong. Our affiliations include or have included Huron River Watershed Council, The Ann Arbor YMCA, Dawn Farm, The Ozone House, Collegiate Recovery Program, Cinetopia, and countless donations to school groups and other non-profit groups. We accept requests for donations and sponsorships at the cafe or by e-mail: manager (at) mightygoodcoffee (dot) com. We are a heart-centered, values-driven organization. We participate in international coffee guilds and associations to educate and challenge ourselves to improve the coffee industry from seed-to-cup. We do the best we can every day. As we learn, we grow. When we know better, we do better. We seek business opportunities that enable our growth and long-term sustainability as an organization. We run a financially sound business, prudently investing in our people and our infrastructure without incurring debt. We value kindness and a generous spirit above all else, this is the fuel in the engine that drives our happiness and amplifies our energy! We hire diverse, respectful, open-hearted people who are invested in their own personal and professional growth, and are accountable to, accepting and supportive of each other. We treat our customers well, providing them with a variety of food and beverage choices to meet their needs, always serving without pretense. We give back at the local and global levels by developing long-lasting partnerships and engaging in charitable activities to support the environment, the arts, and children in our community. We source our coffee ethically, investing in visiting as many countries of origin as possible to ensure we support a positive impact at the farm level. We care deeply for the final product, roasting each coffee to bring out its unique flavor profile resulting in an evolving and deeply considered menu. We train rigorously in order to deliver the best possible coffee and customer experience, each and every time.